The Standouts of 2018: The Joffrey Ballet in Alexander Ekman's "Midsummer Night's Dream"
A madcap solstice celebration: The Joffrey Ballet in Alexander Ekman's Midsummer Night's Dream. Photo by Cheryl Mann, Courtesy Joffrey Ballet. During Alexander Ekman's Midsummer Night's Dream, a singer croons: "By morning the dancers/Will start to wonder/Had it all been a dream?/Had it all been a blunder?" While The Joffrey Ballet's performances of Ekman's 2015 full-length last April were most certainly the former, they could not have been further from the latter. Josephine Lee takes Chicago. Photo Courtesy Lee. Earlier this summer, we followed master pointe shoe fitter Josephine Lee of the California-based The Pointe Shop as she made her on a pointe shoe fitting tour around the West Coast and California. Now she's back, this time on a 45-day tour from California to Chicago, educating students on all things pointe shoes and helping them to find their perfect fit. 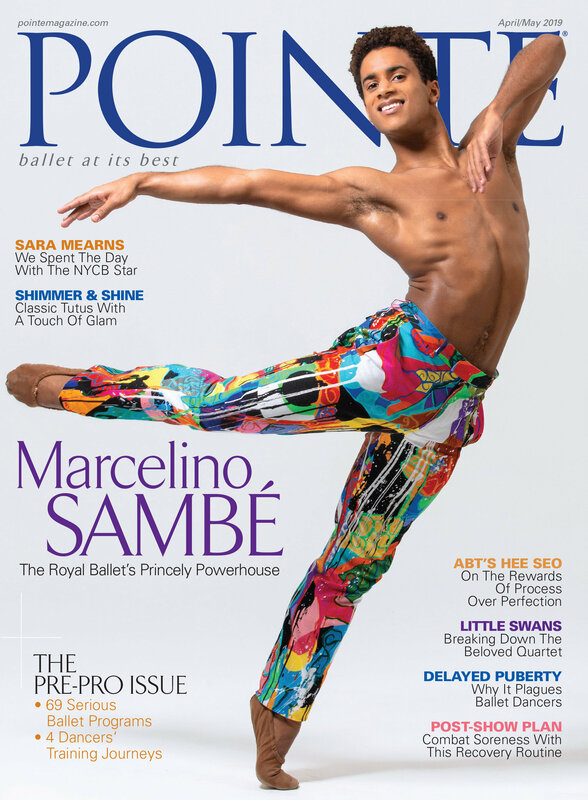 Lee's making stops at top ballet companies and academies across the country, interviewing school directors and chatting with professional ballerinas to find out how they customize and break in their pointe shoes. Below, check out Lee's final stop: Chicago's Joffrey Ballet. She touches base with Ashley Wheater, artistic director of the Joffrey Ballet and the Joffrey Academy of Dance. Missed Lee's stops at Ballet West, Colorado Ballet, Nevada Ballet Theatre, Oklahoma City Ballet or Kansas City Ballet? Check them out now! April Day is celebrating her 16th season with The Joffrey Ballet. Photo by Cheryl Mann, Courtesy The Joffrey Ballet. Joffrey Ballet Star April Daly shares how she stays conditioned throughout the season—and makes her summers intense. With Fabrice Calmels in Christopher Wheeldon's Continuum. Photo by Cheryl Mann, Courtesy The Joffrey Ballet. With Miguel Blanco in Swan Lake. Photo by Cheryl Mann, Courtesy The Joffrey Ballet. "I was 17 (although I looked about 14) and attended the ABT Summer Intensive. I was particularly excited to be there because the year before that I hadn't been accepted." "My mom, my best friend Lauren Post and I sublet a tiny one bedroom on the Upper West Side and had a blast exploring the city." "That summer I was invited to join the ABT Studio Company—a dream come true!"